I love food, I mean who doesn't?! But cooking it and coming up with your own delectable creations, that takes talent! 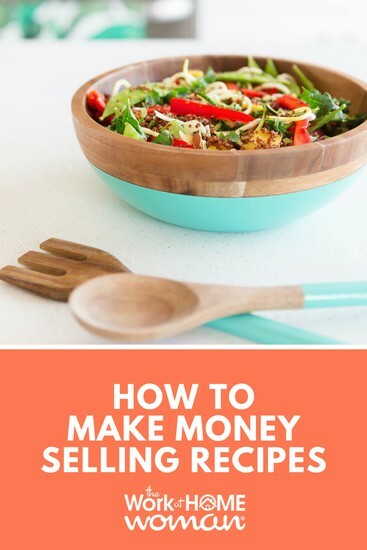 If you're a whiz in the kitchen and you'd like to make money from selling your recipes, read on, this post is for you! What Do I Need to Get Started Selling Recipes? If you’re ready to start sharing your delicious creations by selling your recipes, there’s no better time to get started. A strong grasp of basic culinary terms as well as cooking measurements is a must, so you can write clear, easy-to-follow recipes. It’s also crucial you’ve tested your recipes and know that they will work. When you’re writing a recipe, your reputation is on the line. Selling recipes with missing ingredients or confusing instructions can result in disappointing results. It’s especially important to be clear when sharing recipes for baked goods, as baking is more of an exact science (with not as much room for error). The other critical component to selling recipes and food tutorials are killer photos. Food photographers specialize in ensuring food looks fresh and delicious, whether online or in print. Surprisingly, there’s a real art to photographing food, so it’s important you have the best photos possible to showcase your recipe. Remember, recipe buyers want more than detailed instructions outlining the ingredients and process; photos of the final product will seal the deal and help you sell your recipe. Consider taking a food photography class (plan to invest in photography equipment) or partner with a food photographer or stylist to document your recipes. How Much is a Recipe Worth? It’s hard to pinpoint an exact dollar amount or translate a single recipe into a set amount of income. Bloggers and freelancing gigs may pay anywhere from $10 to $20 for the use and rights to a recipe with photos. If you’re publishing your own recipes on a blog, you may earn more by monetizing your blog with advertisers and affiliate programs. Publishing a recipe collection could result in even more income. Recipe contest winners can be awarded hundreds of dollars for their work on just one recipe! Are you interested in getting paid to write recipes but aren’t sure where to start? Here are eight ways you can start making money by selling recipes today. If you’re a cook, chef, or food blogger who’s also social media savvy, Facebook Groups are a great way to connect with people all around the world and sell your original recipes. Different groups on Facebook bring bloggers, virtual assistants, and content creators together in an online space to swap ideas and purchase blog content, specifically recipes. Blogger Resource Room, Pinterest Friendly Content for Bloggers and Let’s Get Creative are private groups made for those who are seriously interested in showcasing their work available for professional bloggers to purchase. Closed groups, not open to the public, protect all individual members and help you avoid spammers. If you’re a foodie looking to sell blog content like recipes, then all you need to do is submit a request to join your desired group online. Once you join, be sure to follow the individual group guidelines to sell your recipes. With access to thousands of members, you’re sure to find someone interested in purchasing your recipes for use on their blog or website! Believe it or not, recipe writing jobs do exist, and they’re in high demand. The different opportunities for freelance recipe writing range from developing and drafting menus for a new restaurant to serving as a long-term writer for various cookbook companies. Compensation for freelance food writing positions is dependent on the type of job and experience required to fulfill the task at hand. Easier and quicker projects usually pay hourly, whereas upper-level work will likely pay a higher flat rate per post or project. A while back, I decided I was going to include recipes on The Work at Home Woman. By no means am I a professional photographer, so I paid a woman on Upwork to cook up a couple of recipes for me and to take the photos of each one. The results were beautiful (you can see the recipes here and here) but I paid her $150 to recreate the recipes and to take the photos. Freelance workforce sites like Fiverr are a useful platform for recipe writers to use for posting and advertising their services. You can sell very specific types of recipe writing, geared toward a niche audience. 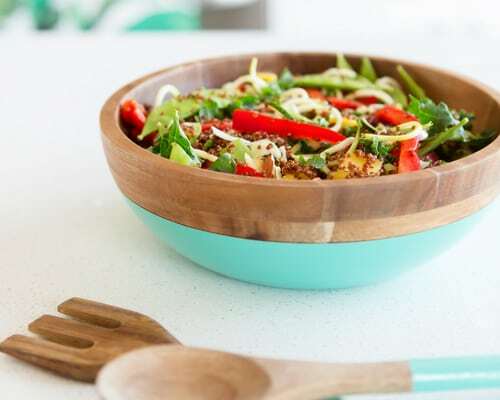 Popular categories on the site include: health conscious, nutritious, desserts, vegan, vegetarian, kombucha, barbeque, and many more. A helpful hint to get your recipes noticed by buyers on platforms like Fiverr is to include high-quality photos with each recipe you write. Photos are a must-have when trying to sell a good food recipe. Humans are visual creatures, which is why higher quality photos will help your recipe stand out from the rest. Sites like Etsy allow foodies the opportunity to build their very own e-commerce shop for free. Etsy shops in the Food & Drink category sell a wide range of products, from pet food and treats to condiments, sauces, and yes, recipes! Popular food-related Etsy shops may start by selling cooking accessories like aprons and table wear, and then expand to selling recipes as add-ons. For example, a shop might sell personalized cupcake tins, but for $10 more you could also purchase the red velvet cupcake kit which includes a paper recipe to be mailed to you or a printable version. Homemade recipes sold individually (as opposed to in an entire book) appeal to customers who are looking for one specific thing to cook or bake at that moment. Another way to sell recipes on Etsy is to create meal plans or eBooks full of recipes available for digital download. A customer who’s looking to get in shape but doesn’t want to spend hundreds of dollars may be more inclined to purchase your 2018 Healthy Meal Plan eBook on Etsy with 28 different recipes included for $9.99. Individual shops and small plans offer customers a unique alternative to visiting a more expensive commercial health and nutrition store. Another way to earn money by selling recipes is to market your finished recipes to bloggers. Professional bloggers are extremely busy, so outsourcing recipes and top-notch food content to others saves time, energy, and stress. At Cooking for Engineers, you’re able to submit any great recipe for publication on their blog. If your post is chosen, earnings are anywhere between $10 to $20 per recipe. If you want to attract bloggers, draw them in by selling more than just a recipe with the ingredients listed. Busy bloggers need content that is ready for publication. This includes commentary introducing the recipe, top-notch photos, ingredients, and instructions. Crafty Morning is one such blog that accepts content submissions, but they clearly specify that amazing photos are a must. Keep in mind, pictures can either really help or hurt a blog post, especially when it comes to food. If you want a blogger to pay you for your recipe, be sure to include photos that bring your recipe to life. Sharing revenue is a great method to make money selling recipes. Companies like RecipeYum allow freelance recipe writers to submit their recipes through an online forum. If your recipe is selected for use by a buyer, you instantly earn money. You’ll also receive part of the revenue earned from advertisements on the recipe website. Higher payouts tend to be earned by those posts that feature stellar photos. You already love testing and writing recipes—so why not try your luck and enter a recipe contest? While it difficult to generate a stable income from recipes contests, they are a good way to diversify your income. Recipe contents are hosted throughout the year, offering opportunities to win large sums of money in one fell swoop. Categories vary from beverages to salsas, and the prizes are often monetary and lucrative. Some recipe winners may have their creations published on the website or compiled in a cookbook! Winning a recipe contest also helps boost your credibility as a food and recipe writer. Sites like Recipe Contests, Taste of Home and Better Recipes are great resources for staying up to date on current and upcoming recipe contests. Winners can win anywhere from $500 all the way up to $1,000 (sometimes even more)! If you enjoy recipes and writing, then why not put your passions together and start your own recipe blog? Creating a personal blog allows you to take full credit for all the interesting content you write and the unique recipes you create. As your site and social platforms grow, the opportunities to earn more money though full-time food blogging are endless. Working with brands, direct advertising, and affiliate marketing are great ways to earn money with a blog. With direct advertising, certain brands and advertisers pay good money to reserve space on your blog. On the other hand, affiliate marketing is also a great option when you have no direct advertisers yet. Affiliate marketing involves promoting certain products or services on your blog. Every sale that comes from your blog will earn you a commission—it’s a win-win situation for both parties involved. So Many Great Ways to Work From Home and Make Money Selling Recipes! There are many different ways to make money selling recipes and working as a freelance recipe writer. If you have a passion for food and writing, selling your recipes can be a great work-at-home option. I need to sell recipes online, how do I go about it. Most of these options pay via PayPal. Just click on the links to get started selling recipes.